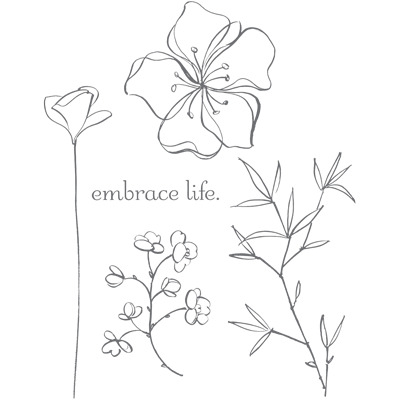 Technique Booklet class -- now on Wednesday! I had tons of fun offering my Techniques Booklet class on Saturday, and so I'm re-offering it again on Wednesday if you missed it the first time! You can sign up for either the 1pm or 7pm slot and make 10 different techniques for your Top Note chipboard booklet, with instructions for each technique. 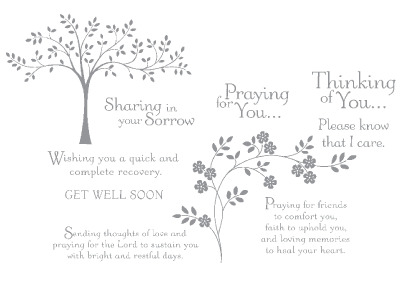 My friend Erin was kind enough to share a picture with me of her "Thoughts & Prayers" tree Décor Element, once she had it up. If you are curious about sizing since this design comes in 3 sizes, Erin used the Medium one which is 34-3/4" x 24-3/8". If you needed to go bigger, the Large is 52-1/8" x 36-1/8". 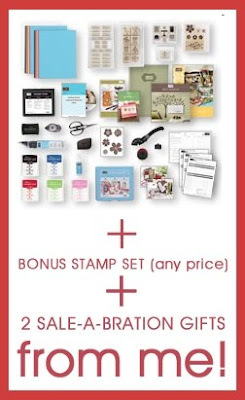 She's another smart stamper of mine who has taken advantage of the current Starter Kit sale and not only got it at a great price, but she was able to take advantage of the extra free stamps being offered too! 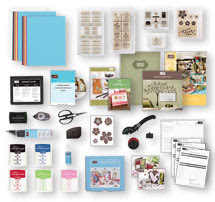 The Digital Starter Kit is still on sale as well in case you wanted the My Digital Studio software as part of your package. Please let me know if you are interested in either! Fun projects for my March Club gals! 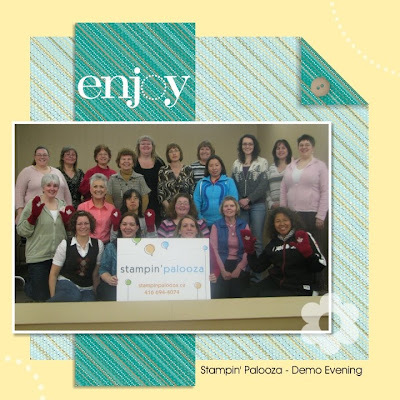 First things first...just so you know, ANYONE can come and attend a Stampers Club date with me - you don't need to be a member (though you do need to RSVP). Your attendance is free with a $25 order that day, so check out the times, etc HERE if you want to come this week and play with us! Our first project is a cutie-patootie little basket, made with the Scallop Square die. I got the idea off of Diana Ball-Seitz's blog, where you score and fold at every third scallop, snip and your basket is done! Card #2 is an easy one to throw together, using the "Baskets & Blooms" die to create a basket of easter eggs, using the "Shades of Spring" DSP and the Wide oval punch. If you look carefully, you can see I even texturized the basket with the weave pattern from plates kit #4...I love the subtle effect! Our third card uses the specialty Bride paper, which has that lovely shimmer effect and looks beautiful when you either sponge or brayer with ink overtop. We used a three colour combo of Cameo Coral, So Saffron and Rose Red. More Birthday cards for our class! Here are 2 more of the cards we're making on Saturday & Monday's birthday cards classes (you can see yesterday's card here). I love making the faux-vase from the Ornament punch, and paired with the pretty flowers from the "Thoughts & Prayers" set, you can't go wrong! If you click to enlarge the photo, you'll see some glitter on the flowers...needed a wee bit of bling to make me truly happy. The colour combo used was Rose Red & Always Artichoke, plus the Thoroughly Modern Designer series paper. If you look closely, you'll see the tiniest bit of Bashful Blue under the vase, to create the illusion of shadow. This So Saffron card plays with More Mustard and Chocolate Chip, and one of the beautiful flowers from the Embrace Life set. I heat-embossed it with Gold, and watercoloured the inside with More Mustard and just the teeniest touch of Pumpkin Pie. The sentiment is from Well Scripted, probably my favourite new word set from the Occasions mini catalogue! I have spots left for all 3 times, so drop me a line if you'd like to RSVP to come play with us!